Get inspired by UrbanMeister Dr. Genieve Burley who is out to change the world one disposable cup at a time! This reader & passionate greenie has started an impactful initiative called ‘SayNoToGo’ aimed at making big beverage chains re-look at their disposable cups waste and the pollution it creates- something she came to realise after her own experiences. Sustainable lifestyle requires conviction, consideration and co-operation. Conviction to move away from modern ‘easy disposable’ living which shows consideration for environment and our surroundings. And that’s who we call an UrbanMeister- an urban who is ‘meistering’ or mastering a healthy and sustainable lifestyle. Aiding their conviction and consideration is co-operation that is brought about by our platform UrbanMeisters.com that helps readers and like minded greenies connect and spread awareness through sharing knowledge, experiences, updates and advice on green products, trends, DIY projects and healthy lifestyle choices. And our readers are fast becoming UrbanMeisters who are changing their neighbourhoods with their initiatives. Sharing one such initiative today is an inspiring urban voice Dr. Genieve Burley – UrbanMeister reader – who has taken on the uphill task of making us say no to disposable cups. Genieve is a Vancouver based Chiropractor, Yoga Instructor and self confessed coffee lover who’s horror at disposable cups waste turned her into an agent of positive change. Hear the story of SayNoToGo in her own words. 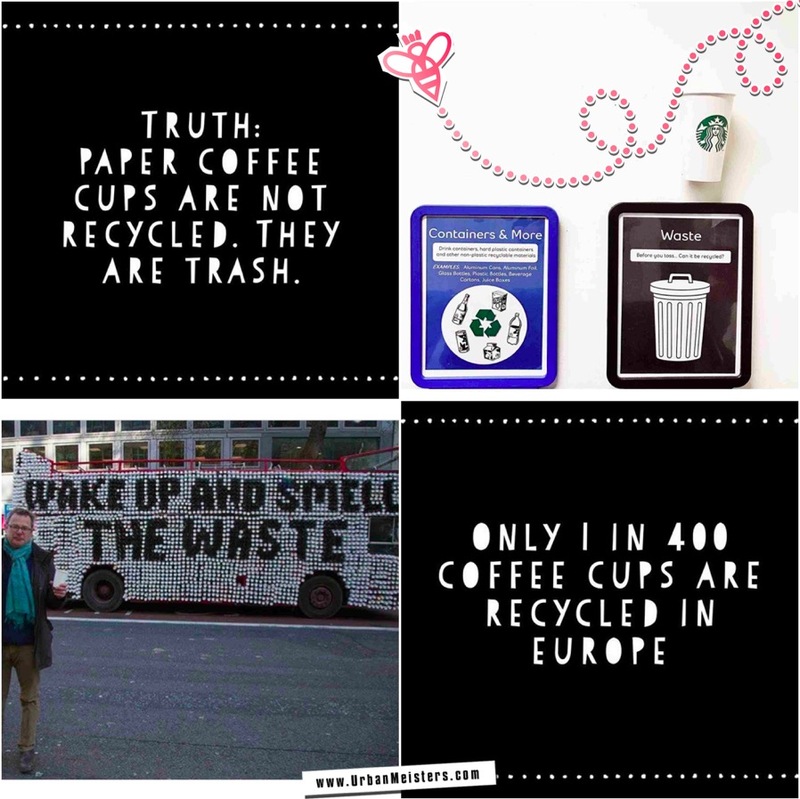 Disposable cups wake up call! When I lived in Toronto, my treat of the day as a chiropractic student and a personal trainer was to get a Tim Horton’s steeped tea (Tim Horton’s is an iconic Canadian coffee shop, one of the originals). I loved that red cup, in the same way that others get the comfort from their white and green Starbucks cups. 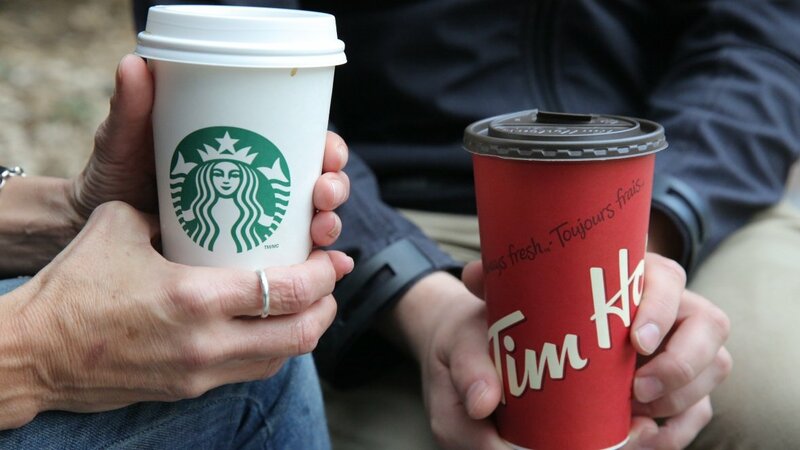 Tim Horton’s also had a campaign called “roll up the rim to win,” this contest takes place in March, and drives more people into their stores to get multiple coffees a day to win prizes like a donut or (rarely) a BBQ or a car. I also remember at this time, even though there were coffee sleeves, I was almost always given another cup to double up so that the cup was not too hot in my hand, this practice continues today. I would treasure my steeped tea that I would get everyday, but I would always feel sick to my stomach when I would go to throw out the cup, and I saw several dozen other cups in the same garbage. I started to look into disposable cups, and how they were disposed. I thought that both the lid and cup could be recycled, and like many other people on this earth, I was wrong. The cups are lined with petroleum-based polyethylene, which is plastic. 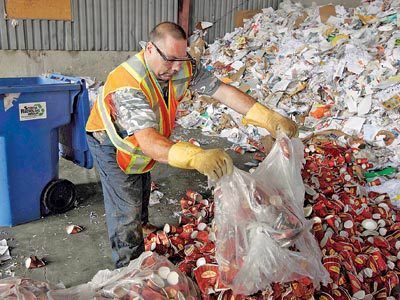 These are not recycled, and even if they are picked up in the paper bin, once they are taken to the paper recycling facility, the poly-lined cups are considered contaminants and they are turned into waste. There is a movement towards using biodegradable cups, which have a corn-based lining, but the conditions in which this corn-based lining will degrade is 140 degrees Fahrenheit, at a humidity of 90 percent for 10 days. Our composting facilities, as well as our home conditions, do not meet these criteria, therefore, compostable coffee cups also make their way into the landfill. The other problem with us thinking that the cups are being recycled is that this is somehow sustainable, when the only true movement towards sustainability is to not use these cups at all. Americans drink 400 million coffee cups per day. Per day. Can we even fathom how much waste is created by this consumption? 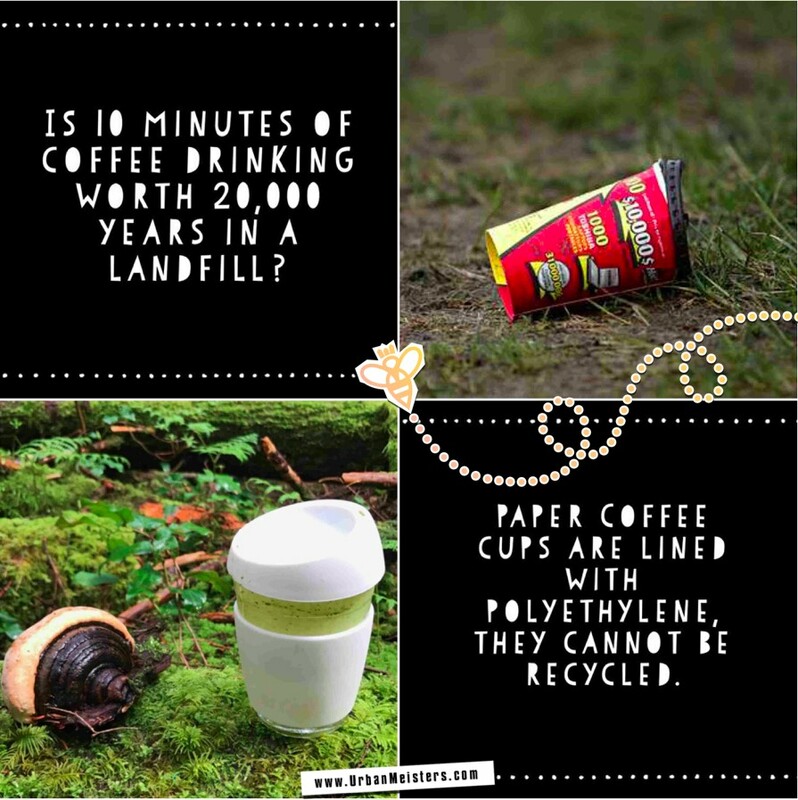 I began to see disposable coffee cups in a whole new light, I couldn’t ever use a disposable cup for myself or my family again and I created a strict set of rules around which we would consume any drink. I started sharing how much waste is produced on my Instagram account, and it had a huge impact on my community. I had people writing me from all over Canada about how inspired they were to create their own rules around coffee. People send me pictures of their own mugs from all over the world. I started to feel a sense of hope around disposable cups, by simple creating awareness, I was creating change. When people know better, they do better….and ‘saynotogo’ was born. Once we bring consciousness and values into everything we do in this world, we create change. Environmental consciousness is one of my top values, and in order to live in alignment with this value, I abide by my coffee cup rules. I also travel and run yoga retreats all over the world, and my cup comes with me everywhere I go. My goal now is to inspire the big players: Starbucks, Tim Horton’s and others to create a climate that encourages bringing your own cup, or staying in. This is an uphill battle, as they rely on last minute coffee purchases from people who do not have their own cup. Helping save the planet starts from your own block readers and this drive to give up disposable cups by Genieve begins from your neighbourhood. Upload picture of your re-usable cup or green drive on Instagram, tag @saynotogo & @urbanmeisters with #GreeningIsWinning to be featured! Our founder Mirela also has 3 tips to help make your neighbourhood green & clean here. People like Genieve and Matheu who celebrated his birthday as a special fundraising event for WWF show us how easy it actually is to start changing the world!